The Lincoln Stars (13-13-1, 27 points, eighth place in the USHL Western Conference) will begin a four-game homestand this weekend when they host the Omaha Lancers, and the Cedar Rapids Roughriders. Faceoff for both games this weekend at the IceBox will be at 7:05pm. Eight of the next nine games the Stars will play will take place at the IceBox in Lincoln, NE. Click here to listen to Mike Melbye call the games on AM 1480 KLMS. If you have money to burn, you can also watch the games via B2 Network by clicking here. If you want to follow games on Pointstreak, click here. On Friday night, the Stars will once again battle their in-state rivals, the Omaha Lancers (16-8-3, 35 points, third place in the USHL Western Conference). This will be the second time these two team have faced each other in less than one week, with Lincoln winning that matchup last Saturday night in Omaha by a score of 4-3. The Lancers and Stars have played each other four times this season, with each team winning two games. In their last 11 games, the Lancers are an impressive 8-3, although two of those three losses came against the Stars. The Lancers are a very solid team when it comes to special teams, as Omaha is fourth in the USHL in PP percentage (18.9%), and fifth in PK percentage (86.4%). 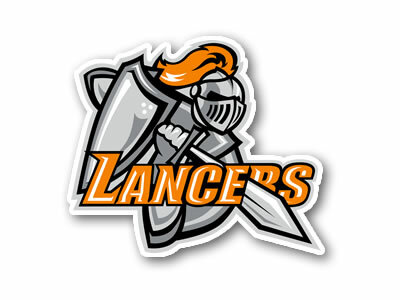 In the four games against Lincoln this season, the Lancers have scored a total of16 goals. 8 of those 16 goals came on the PP so the Stars have to stay out of the penalty box if they want to win Friday night. Saturday night at the IceBox, the Lincoln Stars will take on the Cedar Rapids Olympic Diving Team Roughriders (19-4-4, 42 points, second place in the USHL Eastern Conference). This will be the second, and final time the Stars will face the Roughriders this regular season. In their previous meeting on 12/31/10, the 'Riders shutout the Stars by a score of 4-0. In that game, the 'Riders were awarded eight powerplay opportunities, while the Stars only had one. 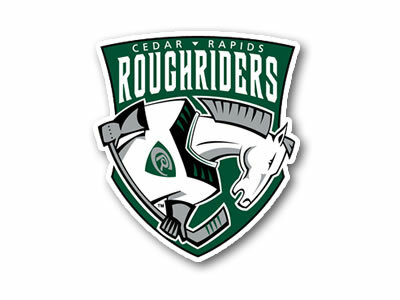 If you could pick one team that plays the polar opposite of how the Stars traditionally play, it would be the Cedar Rapids Roughriders. They are a team that is small, quick, and not afraid to dive to draw a penalty. They are not an overly-physical team, so don't expect any rough-stuff Saturday night. While the Stars can't seem to buy a penalty this season, the 'Riders have had plenty of calls go their way. Through 27 games played, the Stars have have had 101 powerplay opportunities, which is dead last in the USHL. 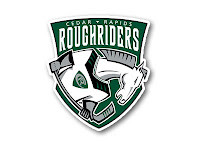 Also through 27 games played, the Roughriders have had a whopping 169 powerplay opportunities, which is second overall in the USHL. The Stars will still be missing Josh Berge and defenseman Kyle Quick from the lineup due to injuries. However, forward Dominik Shine will play both games this weekend after serving a two-game suspension. Forward Zachary Aston-Reese, who played his first two games for Lincoln last weekend and scored a goal on his only shot on goal, earned a spot on the roster but will not be in the lineup this weekend, according to the Lincoln Journal Star. Aston-Reese will be back home in New York getting some things straightened out before returning to Lincoln. Sorry for the abbreviated weekend preview this time around. I had hoped to blog a little more about both games, but I just ran out of time tonight. Hope to see some big crowds at the IceBox this weekend. Attendance this season has been down compared to the last few seasons, so drag as many friends and family members to the games this Friday and Saturday night. As I stated above, the Stars will play eight of the next nine games at home, so the time is now to start putting some wins together at the IceBox. FYI: The Lancers lost at home by a score of 3-2 in OT on Thursday night to the Fargo Force. Nice write up Yeti...can't wait for tonight ! On a side note, I noticed that Ben Oskroba has surged into the lead of the "Newcomer" poll...I'm not surprised by this as Ben is fun to watch (mostly his big hits ! )...but I'm wondering if his family (I've heard Ben has a large family) has staged a voting campaign in Ben's favor...I'm just kidding here ! GO BEN !